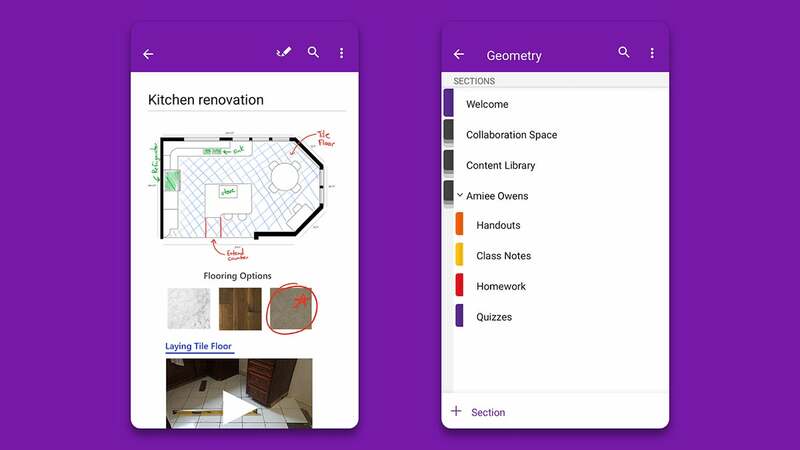 OneNote stumbled its way on to the major mobile platforms, but it’s now a much more polished and intuitive project. Its appeal lies in its flexibility: The way it can take text, and images, and web links, and combine them into something approaching a cohesive way. Of course, all your notes sync seamlessly across devices and the web too. Drop in audio recordings, images, bulleted lists, checkboxes, URLs from the web, and just about anything else you want, then tie it all together into a series of colour-coded nested notebooks. The search tool is slick and works across all your notebooks, and there are collaboration tools if you need to collaborate with other people on particular notes. Tight integration with other Google services isn’t the only reason why you would pick Keep over its rivals, but it’s probably the main one—Keep can be added as a side panel to Gmail, Google Drive, and Google Calendar on the web. 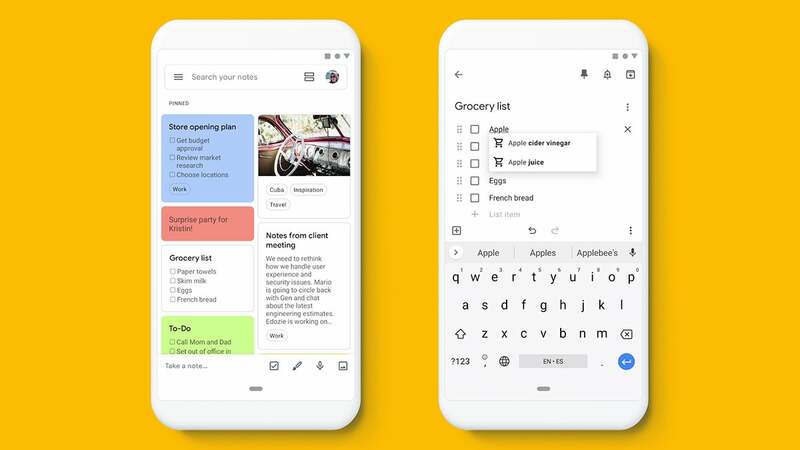 You can turn notes into Google Docs documents with a couple of clicks, and notes with reminders appear in Google Assistant. Aside from that, it’s the usual Google formula for an app: Lightweight, simple to use, and available on just about every device out there. The straightforward colour-coding system works well, and you can attach labels to notes for easier sorting, search through them in a snap, and share notes with other people if you need to collaborate on them. You’re going to have to pay more than you usually would for an app to get MyScript Nebo on your phone or tablet, but it does a fine job of turning your handwritten scribbles into actual searchable text—so it’s probably only worth investing in if you have a tablet and a stylus. It’ll still work on phones though, and there’s even an app for Windows 10 if needed. Besides that key handwriting recognition and conversion feature, MyScript Nebo comes with some excellent note organisation features (with colours and labels and notebooks), plus support for a tonne of formatting options, interactive diagrams, and just about every export format you’re going to need. 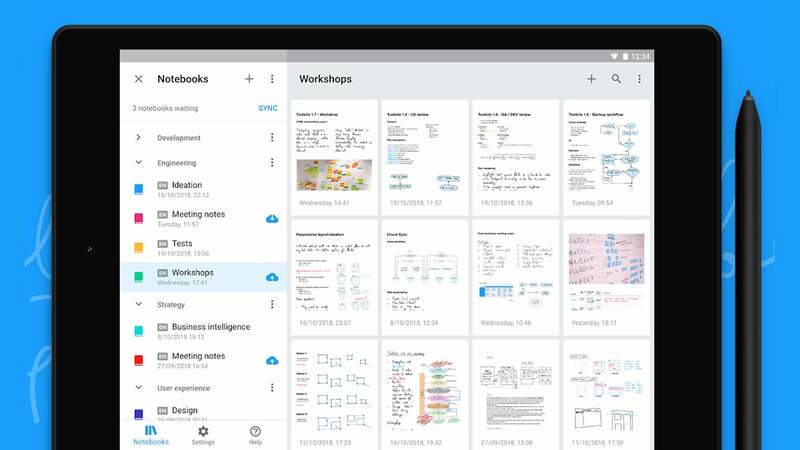 So far Dropbox Paper has managed to fly largely under the radar, but it works well for making notes on your phone, tablet, or laptop and having them synced everywhere—as with Dropbox itself, the syncing and sharing options are all top-notch, and the app handles everything from collaboration to comments well. 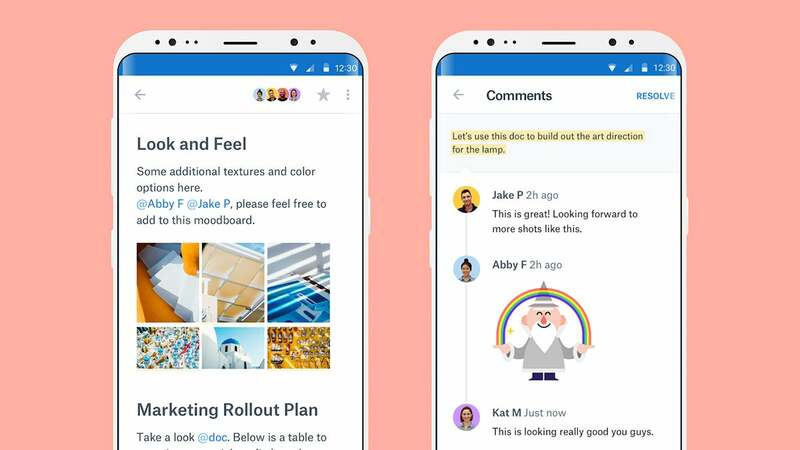 Dropbox Paper scores highly for simplicity, but that doesn’t mean it’s basic: It can handle video, images, and sound as well as text, and it works offline. Where the app excels is in the way its collaboration features and tools are combined into one intuitive whole—it’s a breeze to use throughout, with a clutter-free interface that’s easy on the eye. Perhaps the most well-known note-taker of them all, Evernote continues to soldier on and recently added a dark mode just to prove it’s still hip after ten years in the business. There’s one area where we still prefer it over the competition, and that’s in the way it’s able to manage large amounts of text—essays, notes, text from web pages, tables, and so on. 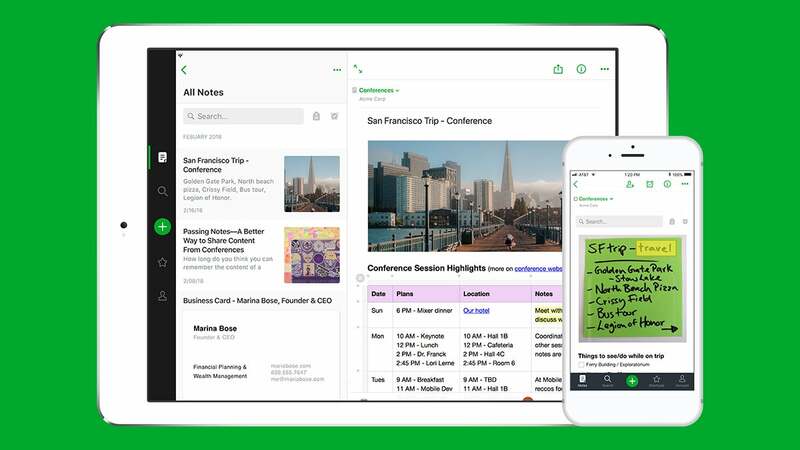 In other words, Evernote is one of the note-taking apps that’s most competent as an actual word processor, as well as doing everything else that it does (like syncing across multiple devices, incorporating images, handwriting, and lists, and scanning in from the camera). Collaboration tools are included too, for working on your stored documents with others. Presumably, you don’t want your notes getting into the hands of other people, but if you really, really need to keep your notes private then give Saferoom a look. 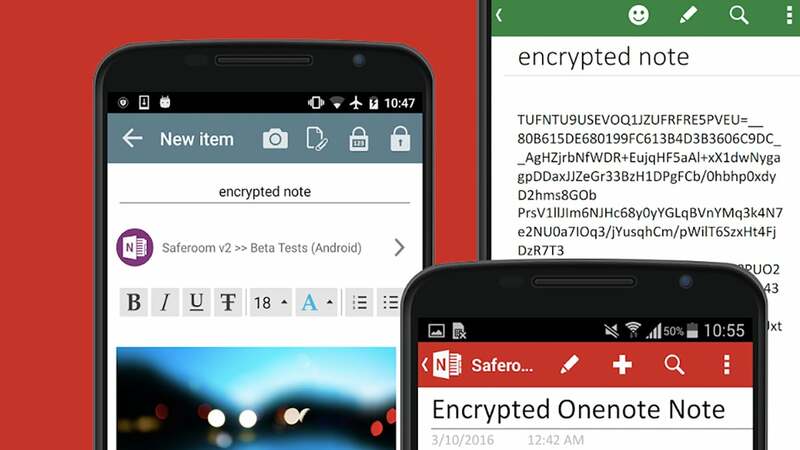 It adds an extra layer of security to notes you’ve already taken in OneNote, Evernote, of Office 365, encrypting them so they can’t be viewed without your secret master password. The security is so tight that if you forget your password, there’s no way to get your notes back—so be careful. It does work with the likes of 1Password and LastPass, so you shouldn’t run into any trouble, and you can get at your notes from your computer too. The interface isn’t the easiest to use, but in terms of security, Saferoom is difficult to beat.